We were writing a “Road Trip” book. The bottom line. … It is much easier than you think. … First, you start, then, you string a bunch of words together that make sense. … Oh, it helps if you have a bunch of cool pictures to go with the words. My friend says this about herself. … “I have an extensive background in the financial planning industry and am a novice in the event planning industry. I am equally comfortable with both the corporate world as well as working in a creative environment. Me? I just say that she is a friend. … A good friend who wants to work with me. … Who could ask for more? 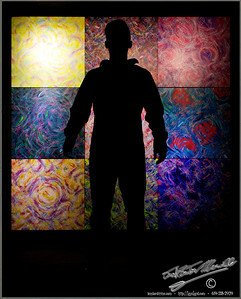 Michael Carini at Alexander Salazars Whitebox. A couple nights ago Michael Carini presented his large set of pieces in the Alxender Salazar Whitebox Gallery for one night only. This is images from that night. This is a quote from the notification of the evenings event. The pieces are being moved to a single location in San Diego. I will provide an exact address, as soon as I am 100% positibe of the location. 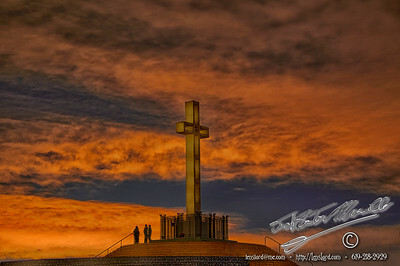 This is the cross on Mount Soledad, just after sunset. 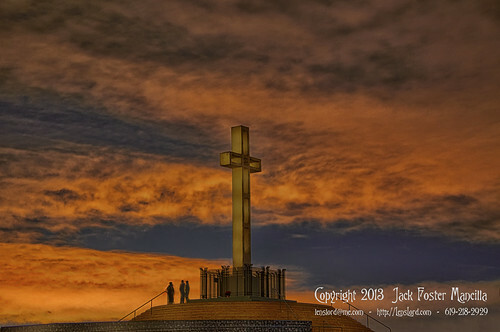 The cross has been talked about, outlawed, saved by lawyers, re-outlawed, and now it is in limbo, saved by lawyers, and still in threat of removal. The fight between those that want the cross removed, and those that wish to keep the cross, has caused the cross to become more than it was some years ago. Now, it has become a memorial. Below the circular brick steps, encircling the cross along the black wall at the bottom of the image, are numbers of plaques honoring the dead of the U.S. military. I remember when I was released from the Marine Corps, although the cross was there, the location was mostly a big dirt parking lot. We used to go up there, look at the city, and make out. … I suppose some of that still goes on there, but in my many visits, I no longer see any making out. … The world has changed. Jaz Cook, and her partner, hired me to shoot some images for their real estate business. 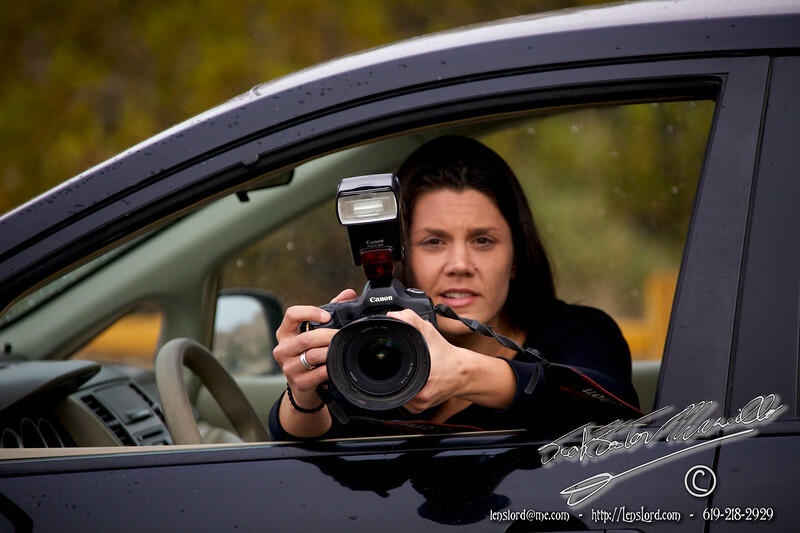 She really wanted some images for their online presence. … We shot those, and they were very happy with them. We actually shot several times for several different looks. … But this image? For this image, I had the lighting units there to shoot some portraits, and I love colors. … 😉 … So, in the moments between the real work, we played a little. 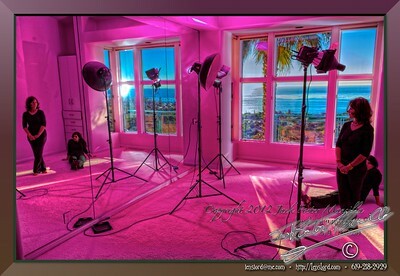 With the La Jolla sun banging against the empty La Jolla home, and streaming through the windows of a room with an ocean view and filled with mirrors, I gelled the units with a single color, and banged back. 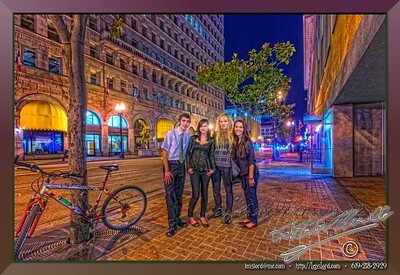 I love living in San Diego, and I love shooting for Alexander Salazar Fineart galleries. Shooting for Alexander gets me out and about to different locations ad interesting times. 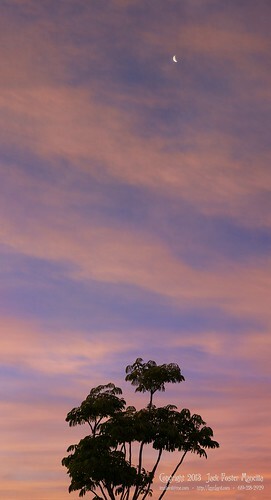 I can go a little early, and wander home a little later, and the opportunities for catching a cool moment abound. For example, I was shooting Alison Van Pelt evening at the Bayfront Hilton. – Please check out those links if you wish. 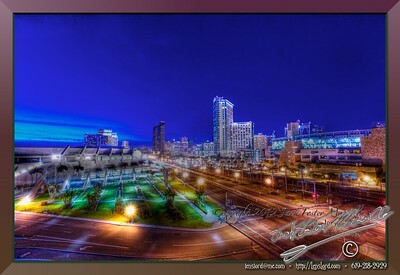 – And that very evening gave me the opportunity to shoot this twilight image of Down Town San Diego.